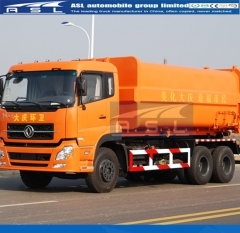 The truck consists of kip bucket, pump, one-way hydraulic valve, multi directional control valve, spill valve, balance valve, pipeline, power takeoff, etc. 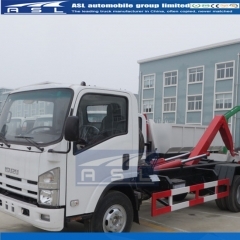 8T garbage truck pulling device consists of pulling boom arm and pull arm cylinder, the United Moving frame, trunk insurance hook and cylinder, and the frame. 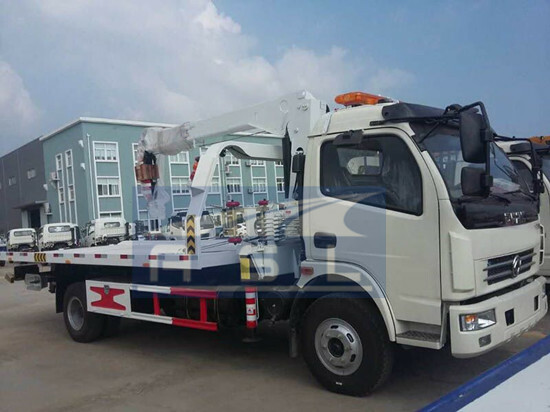 The pull telescopic arm is not used right-angle bend structure. the end of the cylinder and pull the piston rod side arm hinged on the hinge pivot B; Another linkage frame front end and hinged at the hinge pivot C, the formation of a rotary arm pull heart. The truck is made up of hydraulic system, operating system, double-acting lift cylinder and so on. 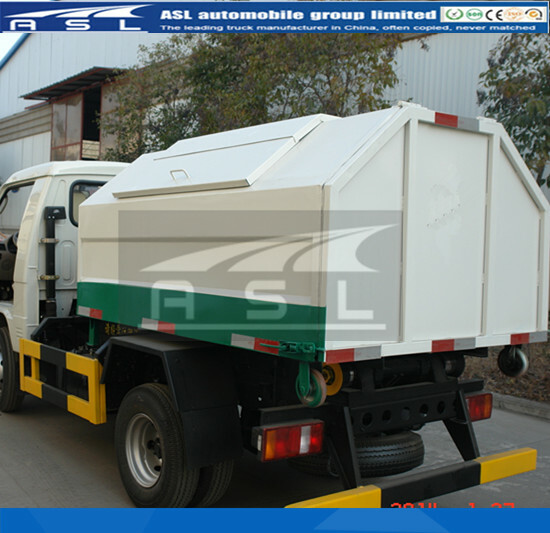 The garbage container may be hoisted and lowered, under auto-dumping of garbage. The largest advantage of the truck is that multiple garbage containers may be equipped on the chassis for cross operation and circulating transportation so that the transportation capacity and working efficiency have been improved significantly. 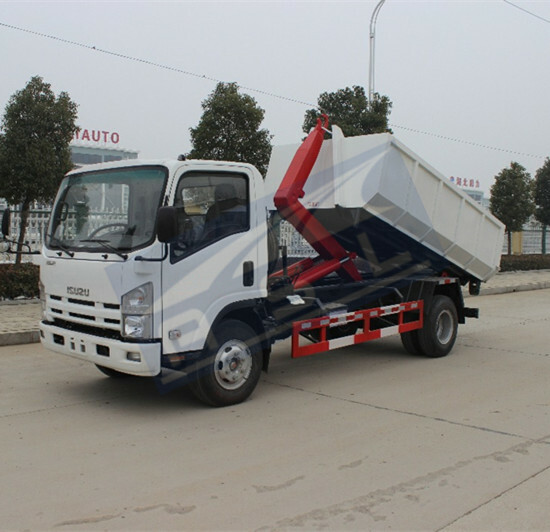 The characterized of this New Dongfeng 5T Hook Loaders: cargo compartment and vehicle body can be separated. 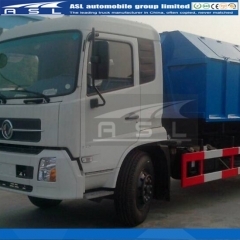 One vehicle can work with more one garbage cargo body, recycling transport, improve the transport capacity, specially for short-distance transport, such as the sanitation department. Cylinder head cylinder arm pull side hinged front frame on the hinge pivot A; linkage frame hinged rear axle frame rear hinge pivot D, the formation of linkage rotary frame heart. Insurance linkage trunk rack hook set the hook cylinder and insurance cylinder. 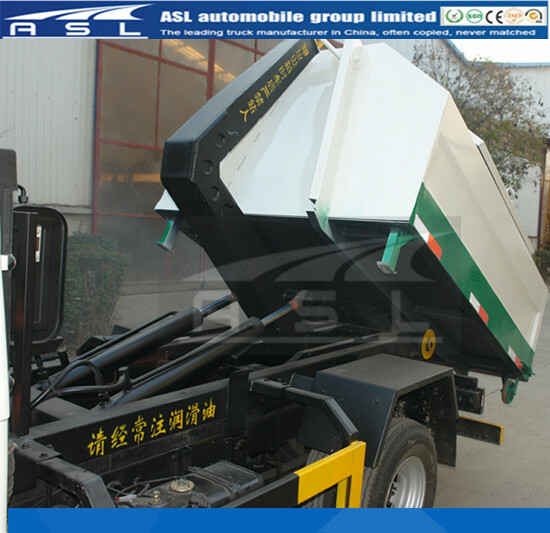 of sole weight and increasing of loading capacity. Standard in-cab manual controls which allow for precise metering of the manual hydraulic valve. 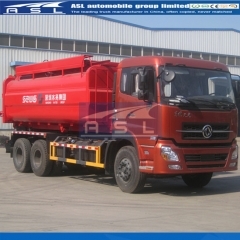 Hydraulic system is used of two types separate forms of hydraulic control, electric control and manual control, operation is more simple and convenient .Container removable garbage trucks can be matched with sealed container or mobile compression container, independently hook container, drop the container, dump garbage etc. 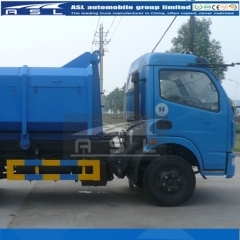 for waste transfer by the Heavy Duty Shacman Arm Roll Trucks. 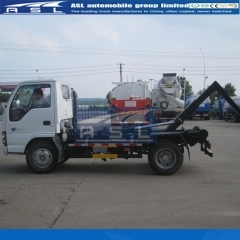 foreign manufacturers.Mechanical rear body tie-down latches. Resettable dump/tilt tabs. 9:Greaseable load rollers. 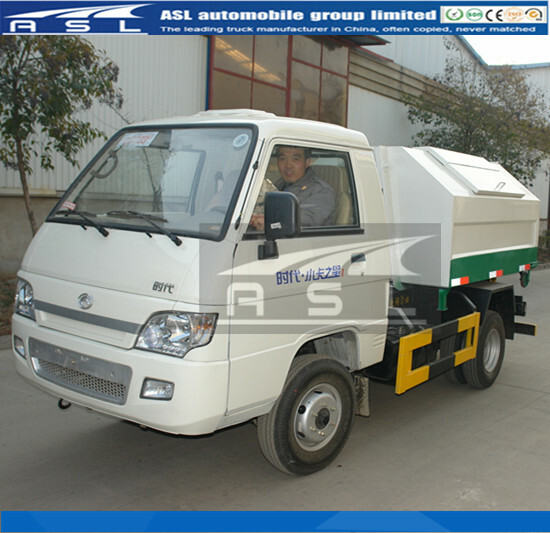 Compressed density 200-400kg/m3 can be compressed to a garbage density 400-600kg/m3, improve transport efficiency. 10: Stainless steel pins used throughout.Designed sewage collecting box in the bottom of fill device, the sewage directly flow into the box, avoid to re-pollution. 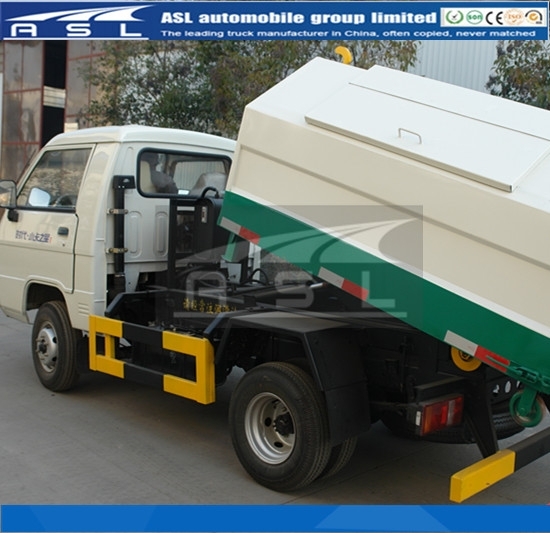 working principle of the device arm pull Pulling garbage truck arm by pulling the device to complete the function of two different dynamic, for boxes and dumping. 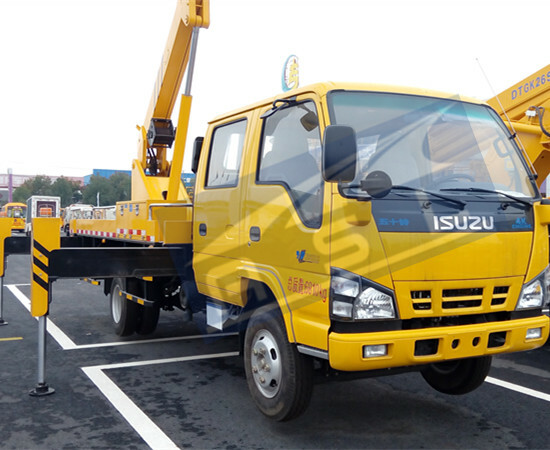 The large hydraulic cylinder drive the double arms, to install hydraulic legs to make sure the stability and safety of vehicle during operation. When the pull device for boom box action, the first cylinder insurance hook action open the trunk insurance hook, trunk lift insurance. The type of garbage box: sealed, semi-enclosed. The shape of garbage box: rectangular shape, trapezoidal. Pull lift arm cylinder piston rod elongation from the pull arm, pull arm to pivot around the hinge C clockwise rotation, the hook arm to pull back move. If the frame is equipped with a trunk, the trunk was pushed home ground. 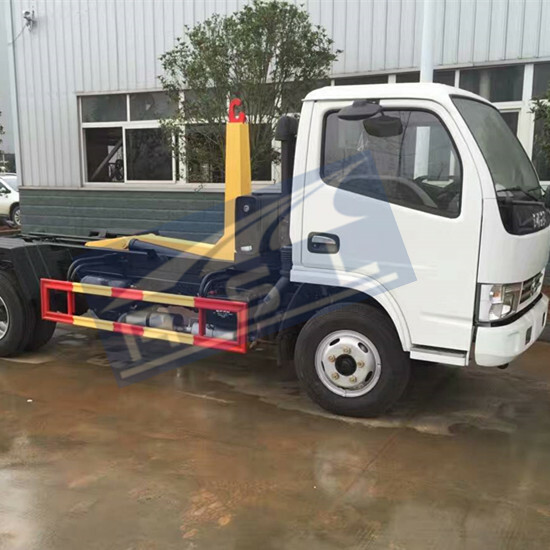 When put on the frame, so that the first hook retractor trunk rings, and contraction of the piston rod, pull arm to hinge pivot counter-clockwise rotation axis C, will put on the Dongfeng 6wheels Hook Lifts Dump Trucks, the insurance cylinder hook action, pull carriages.